Hey late starter! I'm glad you're here! While you might be kicking yourself for not starting to invest sooner, you're definitely not alone. In fact, according to a recent Gallup Poll, 28% of Americans don't start investing until their 30s. That's over 1 in 4 people. 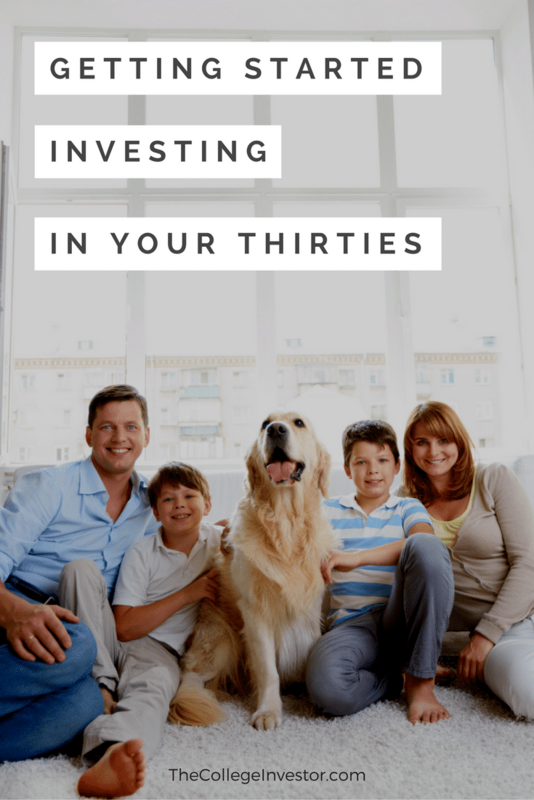 The fact is, getting started investing in your 30s isn't a bad thing. Yes, it would have been great to start earlier. But on the flip side, it's better than starting later! At 30, things in your life start to dramatically change, especially when looking back at your college years. As such, it means there is a different mindset when starting to invest in your 30s. We're going to cover the main challenges facing investors starting in their 30s, as well as the key things to focus on for the future. If you want a tailor-made portfolio to suit your needs, while still getting the convenience of a robo-advisor, Emperor Investments is a good option. Emperor was started to help professionals in their 30s grow their wealth through custom investments, rather than generic ETFs. 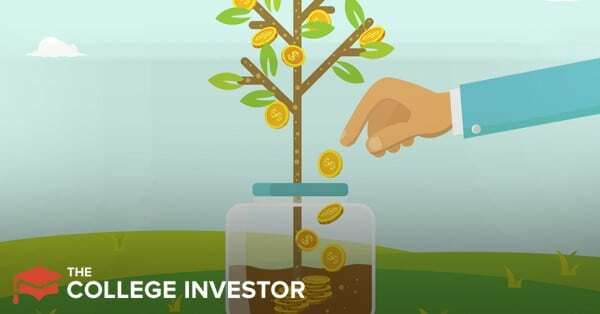 They picks individual stocks for your portfolios which are designed to achieve your unique goals and generate passive income through dividends. Do ﻿You﻿ Need A Financial Advisor? What Accounts Should ﻿You﻿ Be Investing In? Here we are, in our 30s, and we're just getting started investing. Honestly, it's been a long path here for most - so congrats on making it. Too many people get bogged down in life that they don't even start investing until it's too late. Luckily, getting started in your 30s still leaves you plenty of time to save for retirement and the future. Honestly, the list of reasons is infinite, but the story is the same: you simply never had the means to save and invest until now. So, now that you're ready to go, let's get started! The tough part about getting started investing in your 30s is that your 30s is typically filled with major (and expensive) life events. Some big events include marriage. The median age for men to get married is 29, and women is 27. That means a good portion of millennials are getting married in their 30s.​ And with the average cost of a wedding at $26,645, that's a big expense to stomach. Also, many people are waiting to have children as well. The average age at which women are having their first child continues to rise. According to the CDC, in 2014, over 30% of women were in their 30s before having their first child - the highest it's ever been.​ With the average delivery cost reaching $10,000, and the estimate that it costs over $245,000 to raise a child to age 18, it's no wonder people are delaying these expenses until later. So, how do you overcome these major life events while still investing for the future? The goal is financial balance. You can do both - save for the present and save for the future. But it requires a little more thought and effort. So, the real question becomes - how do you figure out your goals, and how can you be honest with yourself in achieving them? You also need to ensure that you're financially organized. The only way you're going to be successful in saving for your future is if you keep accurate records and know where all of your money is. If you don't already have a good system in place, look at using a free tool like Personal Capital to keep track of all your bank accounts. Disability Insurance - Most people forget about this, but what happens if you get in a bad car accident and can't work? Disability insurance can replace your income so your family can live. Once you have these essential tools in order to protect your family, you can finally start looking at saving for your future. For most people, the main goal of your 30s should be to contribute the maximum contributions allowed for both a 401k or 403b, and an IRA. If possible, see if you can save more than that. The trouble is, you do have a little bit of catch-up to do since you didn't start in your 20s. When you're in your 20s, it doesn't make a lot of sense to meet with a financial advisor. There simply isn't enough they can do for you to make it worth it. However, in your 30s, it can make sense to meet with a financial planner to discuss creating a plan if you don't feel comfortable doing it yourself. We recommend using a fee-only financial planner to put together a financial plan for you. If you don't know the difference in types of financial advisors, read this article: The Shocking Truth About Financial Advisors.​ The bottom line is you want to pay for a service, and not be concerned about any potential conflicts of interest. We recommend talking to a financial planner around life events. The reason? The same financial plan should work during the same period of the life event. For example, if you create a financial plan as a newlywed, the same plan should work for you until you have children. An alternative to meeting with a financial advisor, if you just want to stick to investing, is to use a robo-advisor. These are online platforms that do all of the investing "stuff" for you, like setting up an asset allocation and rebalancing your portfolio. While most robo-advisors can't help you with a holistic financial plan, they are great tools for investing. If you want to go the robo-advisor route, we recommend using Betterment. Betterment is a great robo-advisor for young investors. They make investing easy for beginners by focusing on simple asset allocation, goal setting features, and low-cost portfolio management. Click here to check out Betterment. What Accounts Should You Be Investing In? In your 30s, you should be placing a high focus on saving for retirement. As such, you should be following the proper order of operations for saving for retirement. This order is all about what types of accounts to invest money in, in the best order, to take advantage of as many tax-deferrals as possible. So, how much do you need to be saving and investing in your 30s to achieve your goals? Well... it all depends on your goals. The trouble with starting to invest in your 30s is that it will always take more money to achieve the same goal than in your 20s. Remember, if your goal was to have $1 million at at 62, you'd need to save $3,600 per year starting at age 22. Just look at what a difference a decade makes! If you just start investing $6,900 per month at age 30, you can achieve the same goal it takes you $15,300 at age 39! This is just a guideline. I recommend that you save until it hurts - and for most, that means saving well above and beyond just $1 million. In fact, for many people, having a $1 million retirement portfolio probably won't be enough to live at the same standard they are today. So you might even want to consider raising your goal. What you invest in is all about your personal goals and risk tolerance. In your 30s, the biggest way you're going to build wealth is still through saving. While you want your portfolio to earn you a "good" return, you need to select a portfolio allocation that matches the risk you're willing to have as well. ​We really like the Boglehead's Lazy Portfolios, and here are our three favorites depending on what you're looking for.​ And while we give some examples of ETFs that may work in the fund, look at what commission free ETFs you might have access to that offer similar investments at low cost. Getting started investing in your 30s is harder than getting started in your 20s. There's more of "life" to deal with, you have to save more money to achieve the same goals, and honestly you're continuing to battle uphill in work, income, and more. We all know it would have been amazing if we had done xyz 10 years ago. But we didn't. All we have is today. Don't look back on today and wish the same thing 20 years from now.